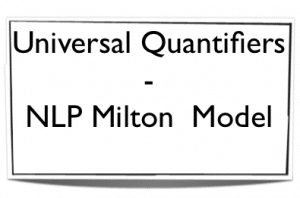 Universal quantifiers in NLP are the names of a language patterns that are part of a model of language called the Milton Model. The Milton Model was itself derived from language patterns used by an American Psychiatrist called Milton Erickson to induce change in patients. 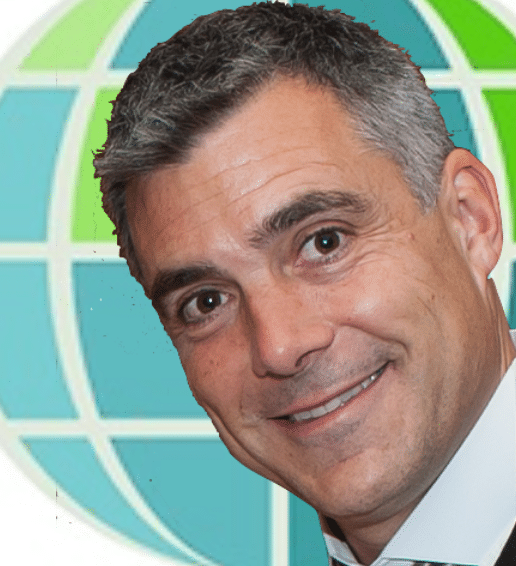 NLP recognises the power that we have to change another persons view of the world by the language that we use when communicating with them. We each represent the world to ourselves in different ways depending on how we interpret events that we encounter throughout life. We create pictures, feelings, sounds, tastes and smells internally and we associate these to words. For example if you think of the word chair, you will probably have a picture in mind that you associate with that word. Your picture will be different to my picture which will be different to another persons picture. Same word, different picture. By using a deliberate sequence of words in our communication with others we are able to influence the way that they think. One way that we can influence them is to induce a kind of trance. Trance is where the conscious mind is at rest. When we are in trance, but not fully asleep, we become very suggestible, as you may have seen in certain hypnosis stage performances. The Milton Model language patterns can be used to induce a very light trance, we can use certain words and combinations of words that confuse the logical side of our conscious mind sufficiently so that we are able to talk directly to the unconscious part of our mind. As we all know, all learning and change takes place unconsciously and so speaking in this way with the unconscious mind can be very powerful for us. 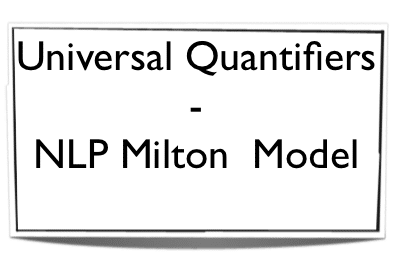 One of the nineteen patterns of the NLP Milton Model, Universal Quantifiers are used frequently in everyday language by all of us all of the time, you just haven’y known them as Universal Quantifiers until now. As the word Universal might suggest, these are a set of words that involve a universal generalisation. They also have specific person or thing that they make reference to. “There is always more to learn,” the conscious mind is thinking “what, always?” That is another Universal Quantifier. 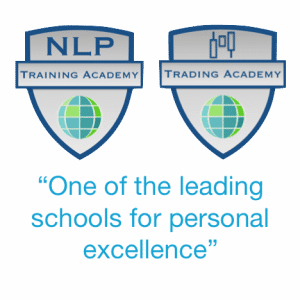 I am sure that as you are reading all the things that you need to know about NLP, everything is becoming clearer and all of the things are coming together. None of the Milton Model patterns are difficult, everyone knows that it is easy to drop into trance all of the time if you aren’t careful. All of these sentences are universal generalisations, and none of them have referential indexes.